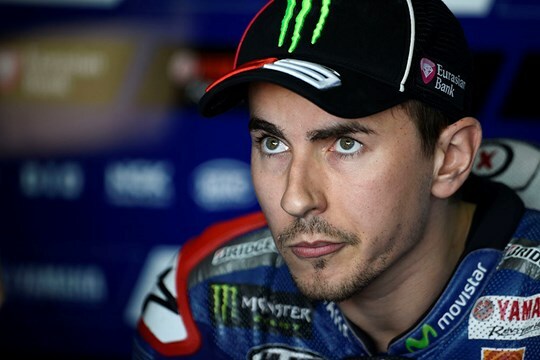 Even though words like "disaster" are far from being the most suitable choice in this particular case, Jorge Lorenzo got a very close shave after crashing during a training session and dislocating a shoulder. Lorenzo suffered a 1st-degree ligament sprain in his left shoulder, and should be thankful for not coming off worse. The circumstances of his crash have not been revealed yet. Sources in his team say that the injury is not as severe as it could have been and that Lorenzo will be present on Thursday at Motegi, ready for the Japan Grand Prix race on Sunday. Still, a shoulder injury was the last thing he needed ahead of the overseas triple header. The upcoming three races are only one week apart, Motegi on the 11th of October, Phillip Island on 18th and Sepang on the 25th. Physical trainers will have to get him in a better shape on the fly, with little to no rest at all for the Mallorcan. After a brilliant race at Aragon, Lorenzo managed to reduce the gap between him and the leader for the championship, his teammate Valentino Rossi, to only 14 points. Lorenzo looked especially strong and with a winner's mind frame lately, matching Rossi's vast racing experience and his most recent victory technically relaunched the championship. Even if Lorenzo's injury is not severe, it only serves Rossi even better. The defending champion Marc Marquez also broke a bone in his wrist during training last week. Still, both Yamaha factory riders are highly-experienced pilots so we can expect a fierce battle for the remainder of the season. Lorenzo won at Motegi last year and desperately needs to close in to Rossi if he wants a solid chance to seize the title.